Thank you! I will try to do more whenever I can. It put on quite the show for you. 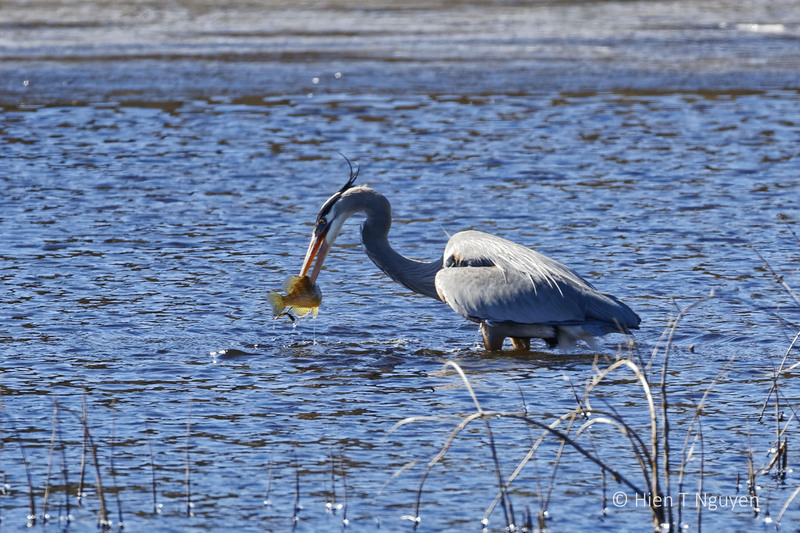 Great catch by the Heron and great shots by you. 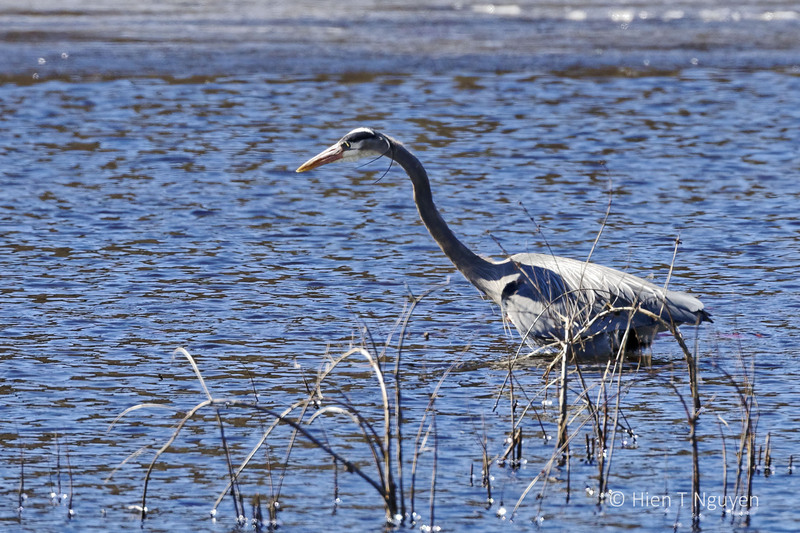 By the way, are you photographing from a hide, or are you in the open? 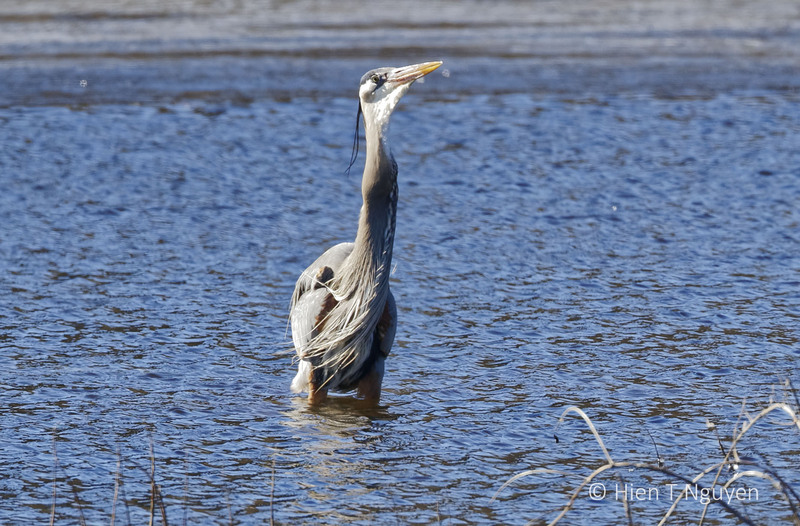 Actually I saw the heron while driving. 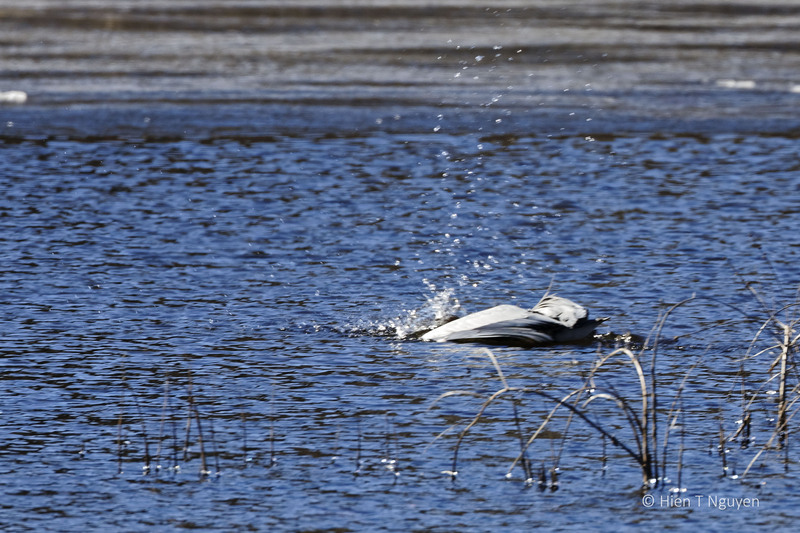 I got out, set up my tripod and camera and got ready in time to see it dive head first into the water. It did not seem to care whether I was there or not. Indeed, Takami! 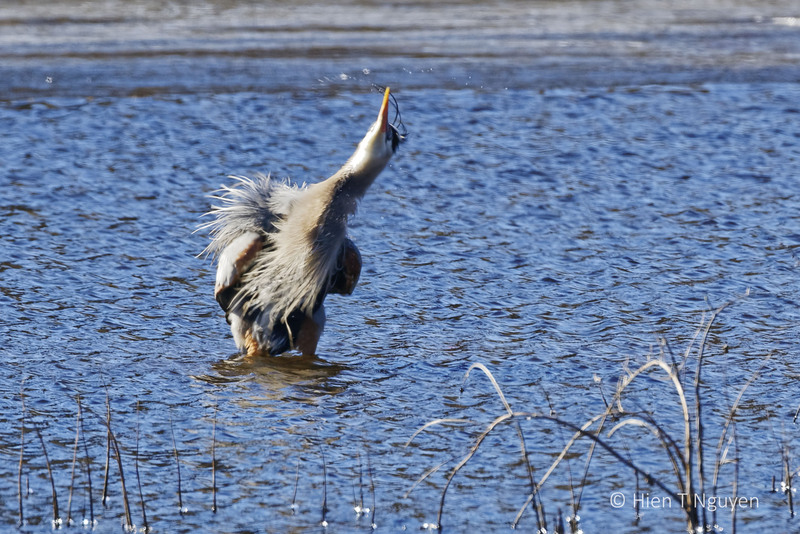 It was fun to watch and take these pictures. Fantastic action series, Hien! 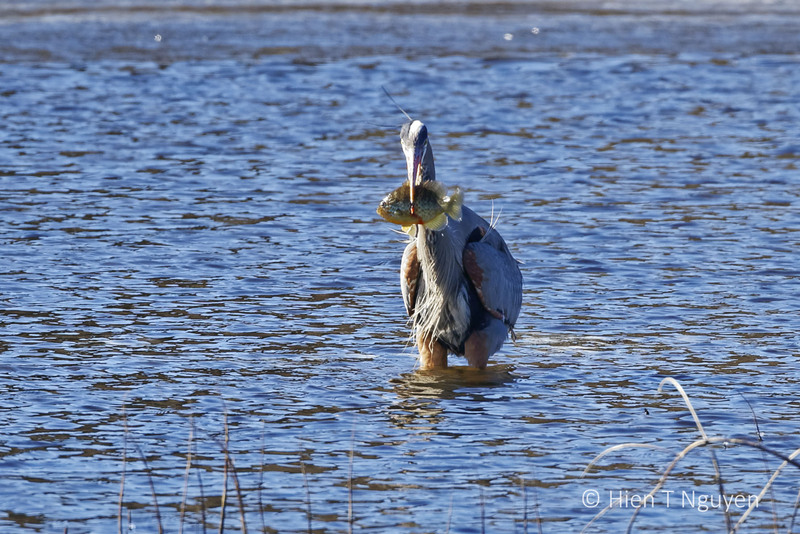 It is amazing to watch a GBH maneuver and swallow a fish, love it! Perfect timing! 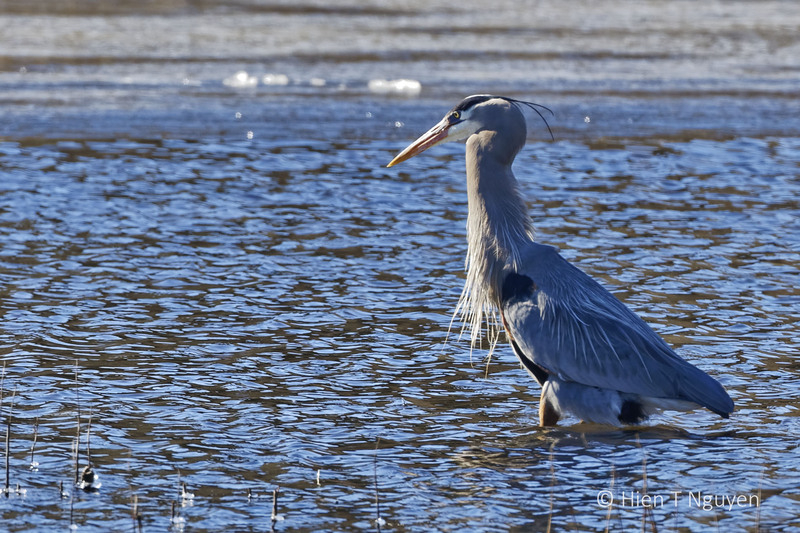 I guess it was worth braving the cold! Thank you Tiny. They sure eat fast, and often! Thank you Anh Nhi. You would have enjoyed the scene, even if it was very cold. Thank you Glad that you like those shots! Ha, ha! 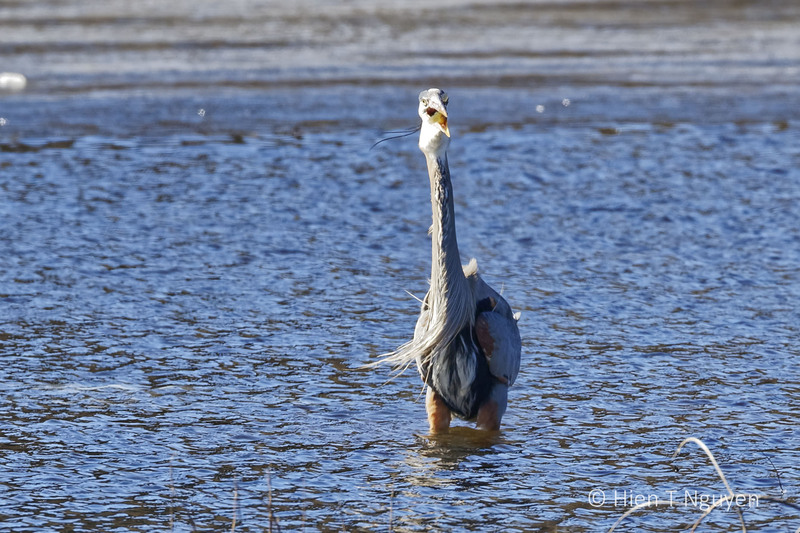 Kidding aside, some herons have died when they could not cope with the big fish they swallowed. Oh dear I didn’t know that or I certainly wouldn’t have made a joke about it. Don’t worry Sue. I didn’t know about it either until I read about it on another blog here on WordPress. Excellent series of captures, Hein. It’s a wonder that the fish’s spikes don’t bother it. 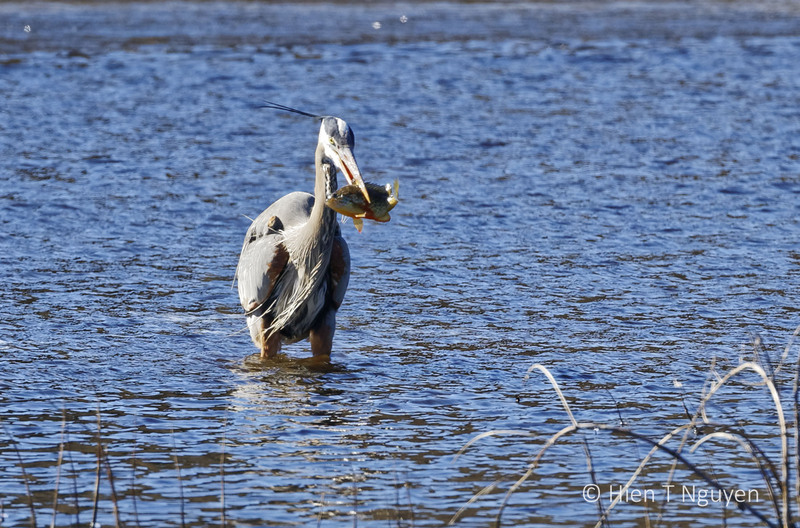 The only time I saw a heron catch a fish, it took it to shore and beat it senseless before eating it! Obviously, it wasn’t a pro like this guy! Thank you Eliza. 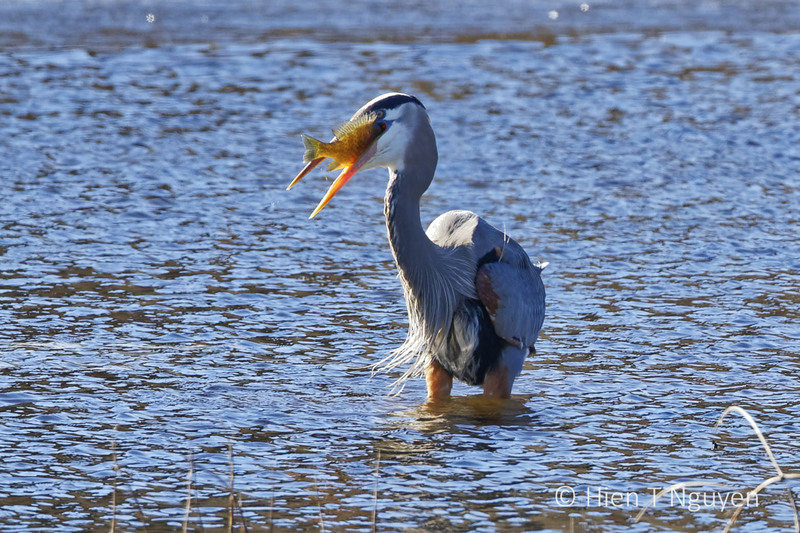 I think the fish was pierced all the way through and probably died within seconds, so the heron had no trouble swallowing it whole.